Former railway minister and senior Congress leader Pawan Kumar Bansal is also vying for the ticket from Chandigarh. 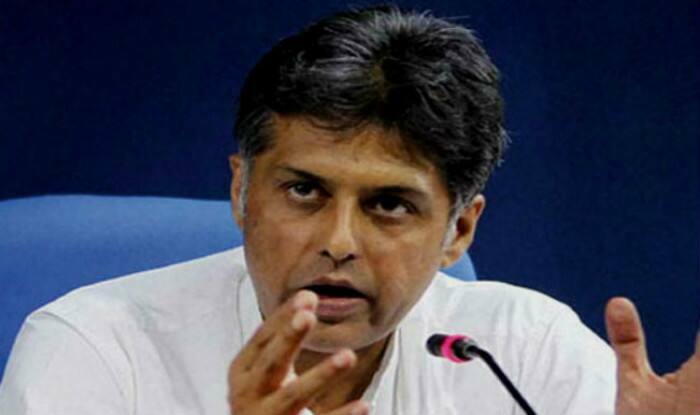 Chandhigarh: Former Union minister Manish Tewari on Sunday formally staked claim to the Congress ticket from Chandigarh in the upcoming Lok Sabha polls, two days after Punjab Minister Navjot Singh Sidhu’s wife sought to fight for the party from the seat. In a letter to Pradeep Chhabra, president, Chandigarh Territorial Congress Committee (CTCC), Tewari said,”I am interested in contesting the Lok Sabha elections from Chandigarh.” Sidhu’s wife and former MLA Navjot Kaur Sidhu on Friday staked claim to the Congress ticket from Chandigarh, which is currently being represented by BJP MP Kirron Kher. “I am informed that the Chandigarh Territorial Congress Committee has invited applications from all those desirous of contesting the Lok Sabha elections from Chandigarh Lok Sabha seat in the 2019 general elections…,” Tewari said “Kindly consider my candidature at the level of CTCC and the Pradesh Election Committee and also forward it to the AICC/screening Committee/Central Election Committee and the Congress President for appropriate consideration,” he said in the letter. Tewari, a national spokesperson of the Congress, has been a Lok Sabha MP from Ludhiana. Bansal, who had been a four-time MP from the Union Territory, had exuded confidence that the party high command would repose faith in him and give him the ticket. “Everybody has the right to apply for a ticket from anywhere. But it is the party high command which finally decides. “I am pretty sure that because of my work in Chandigarh, being well versed with the affairs of the city, and the rapport that I have with the people here, the party will certainly repose faith in me and give me the ticket again from here,” he had said in his reaction when Kaur entered the race as ticket aspirant.